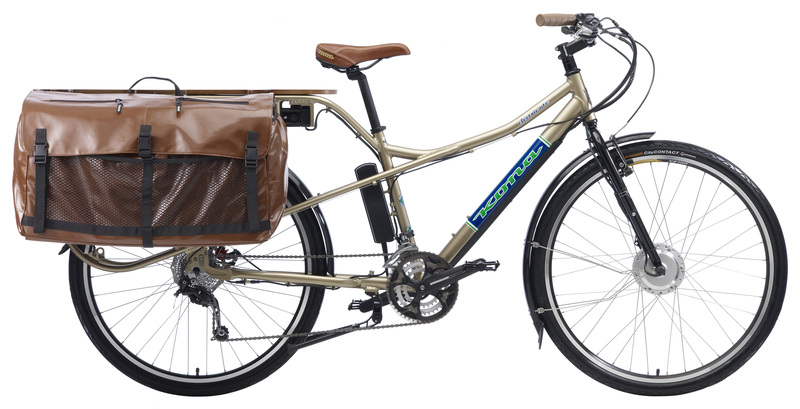 Today I was eagerly searching for a Trek dealer in the Seattle area who might have the new Transport+ cargo bike available for a test ride. I knew I was being a little optimistic, but several months ago a Trek marketer told me the bike would be available by November. Trek’s web site continues to say “Available late fall”, and there’s even a brief video review from ElectricBikeReport.com. But no luck. The best I could hope for at local bike shops was late February of 2011. The marketer that gave me the more ambitious date is now out of the country and apparently not answering email. Perhaps I’ll just need to be patient for the next 4 months, but I find this a little discouraging. It reminds me of the glacially slow rollout of the Electric Ute, and I expected something different from Trek. Instead, the introduction of the Transport+ is looking just as cautious as the Ute, and I’m wondering why. Then I found this blog entry from the president of Trek, asking his customers to help him make the case to his market forecaster that this is a bike that will generate interest. What the #@%!? Maybe this is a clever ploy to increase buzz, but it’s not the approach I hoped the company would take to build this market. I found another review of the Transport+ that looks encouraging, but in the details it trimmed 100W from the power of the motor, and nearly $500 from the price. If these specs were true it could make the Transport+ even more attractive to the mass market (if a bit less attractive to us hill dwellers). However, since these details conflict with Trek’s web site, I suspect they are not accurate. In any case, the clock is ticking. Unless competitors slip their schedules, there will be other interesting bikes to consider in 2011, such as those from Onya and Urban Arrow. I’m excited to see this race heating up, but I’m disappointed if the starting gun has actually been delayed for a few months. P.S. If anyone at Trek is listening, I would be happy to present your side of the story if you would like to tell it!